The Green New Deals, both at the federal and state levels, are serving as a needed launch pad for the sea-changes that will be necessary to affect long-term change. But we can’t rely on those proposals alone. We must find cost-effective and innovative solutions to this challenge by collaborating with partners across sectors. That’s the aim of our Northeast 80x50 Pathway Forum being hosted in Albany on May 13. 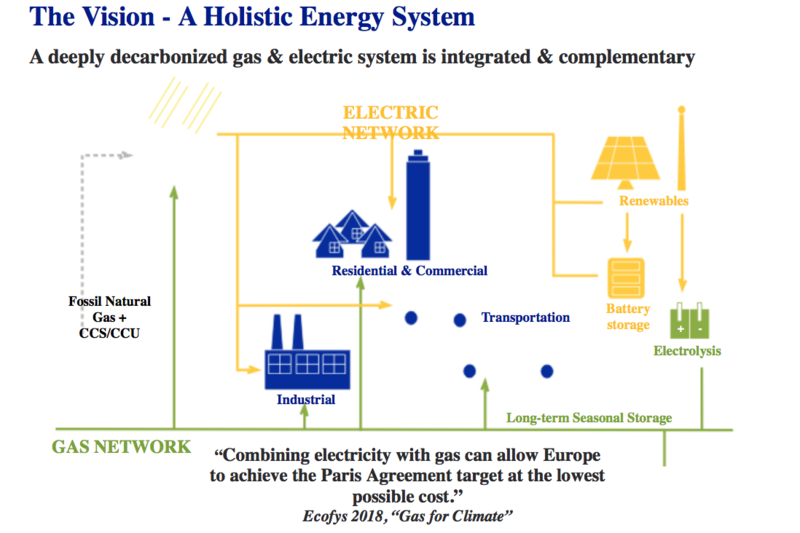 When it comes to the climate debate, the expansion of our gas distribution system is always a hot topic that is too often framed as black and white. Those who support gas expansion are painted as the enemies of the common good and those pushing for all renewables are characterized as out of touch with the realities of our current energy system and economy. As an energy company serving four million customers across the Empire State, we’re in a unique position to act and bring people together. We also have the ability, working with regulators, to use our gas network to help New York meet its greenhouse gas emission reduction goals. A geothermal pilot to test out a utility-ownership business model and its ability to complement gas network operations. This would be a larger scale, second phase of a previously-approved REV pilot that tested the ability of shared-loop geothermal, a heating source that uses the earth’s underground temperature to meet customer heating needs, and was proven to be successful. This isn’t new for us, smart solutions are already underway. In Brooklyn, we have been injecting RNG from a landfill into our New York gas network since the 1980s and are working with the city of New York on a wastewater treatment facility that will inject RNG into our system later this year. We believe that gas can play a critical role in supporting the growth of electric vehicles, wind, solar, and other renewable technologies while also delivering lower-carbon heating. Expanded access to natural gas has resulted in emissions reductions in the Northeast by reducing the use of more carbon-intensive delivered fuels, like oil and propane. National Grid and its thousands of local employees are a part of the New York community, it’s where we live, work, and raise our families. We’re committed to working with advocates on all sides of the climate change debate to move our state forward toward its clean energy future.